We are a pretty great place... but don't take our word for it. Check out our reviews on Google. We are dedicated to providing the best health, fitness and nutritional guidance to Broward County. Our goal is to set the platform for constant progress for our clients. We strive to make everyone's fitness goals a reality. Meet the needs of the beginner, from the people who haven't exercised since their youth, to the serious athlete trying to improve in their sport. Provide qualified Coaches with a varied background of fitness related experience & multiple certifications, which in-turn provide you with the best fitness training. There is an athlete in every single one of us, and everyone deserves the right to the best fitness training, in a community atmosphere that is both warm and welcoming. Come on over and be part of the Conquest team! At CrossFit Conquest, our goal is to ensure a safe and challenging workout for all our members. When you visit our gym, or our box as we call it, you'll be greeted by our team of professional CrossFit coaches. We will talk with you to find out what your fitness goals are and map out a fitness program specifically for you. Our coaches are certified and go through specialized training. CrossFit is a fitness system designed to build strength, endurance, stamina and confidence. 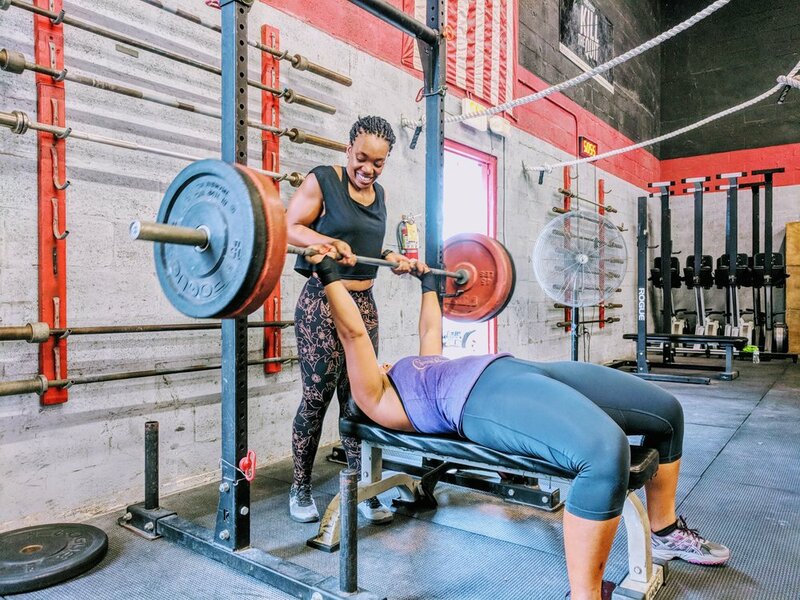 CrossFit combines weight training, strength training, cardio and body weight exercises into a full fitness training program. We have different workouts of the day (WODs) that offer variety in your workout programs. With CrossFit, your whole body will get a full workout. 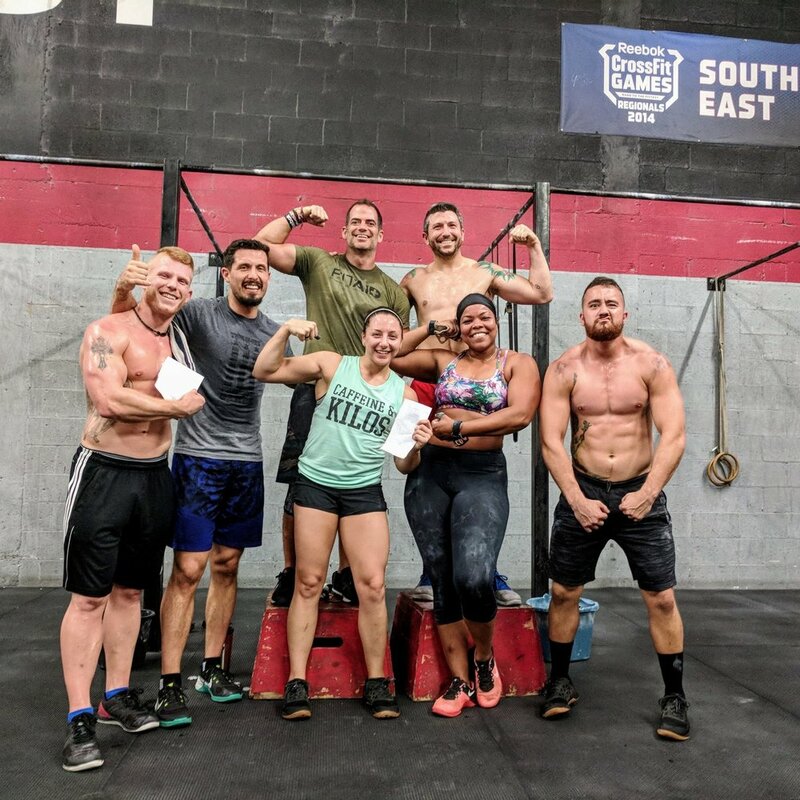 From beginners to athletes who have been training for years, CrossFit Conquest will work with you and your fitness goals to help push you to the next level. All ages and skill levels are welcome. Call now at 954.526.8116 & learn more about how we can help you. Easy Month to Month Rates. No Contracts. Getting started is as simple as can be. We like to give everyone the freedom to have flexible memberships, to keep you focused on your fitness goals! Please let us know ahead of time if you will be bringing a friend or family member to try out our gym for the day. There is a $20 fee that must be paid before working out. Thank you! We will respond to your inquiry shortly. We look forward to helping you in your fitness goals. At CrossFit Conquest, we also offer personalized one on one training packages. This is done specifically for the Conquest Member interested in improving or developing their skills. So, whether you are looking to be a better athlete, start or continue competing, we have the program for you! All ages and skill levels are welcomed! Not sure if your nutrition is properly supporting your workouts? Have you been putting in the work at the gym but not seeing the results you want? Are you stuck on those 'last ten pounds'? Conquest Fuel is an 8 week nutrition program customized specifically for our members unique needs. With Conquest Fuel, you will receive a specific nutrition plan to fit your lifestyle. You will also receive one-on-one coaching to help with the nutritional dilemmas you may face. Please see Coach Jon to schedule your FREE (yes free) consultation. Make sure you check out our monthly tips and tricks from Conquest’s very own coaches. Don’t forget to follow us on Instagram & Twitter, subscribe to our Youtube channel, and like us on Facebook for the most up to date information. Important: Please Fill The Necessary Form Out In Its Entirety And Email It To Info@CrossFitConquest.Com Or Bring It In And Give It To Coach Jon Coddaire Or Coach Paul Moran.